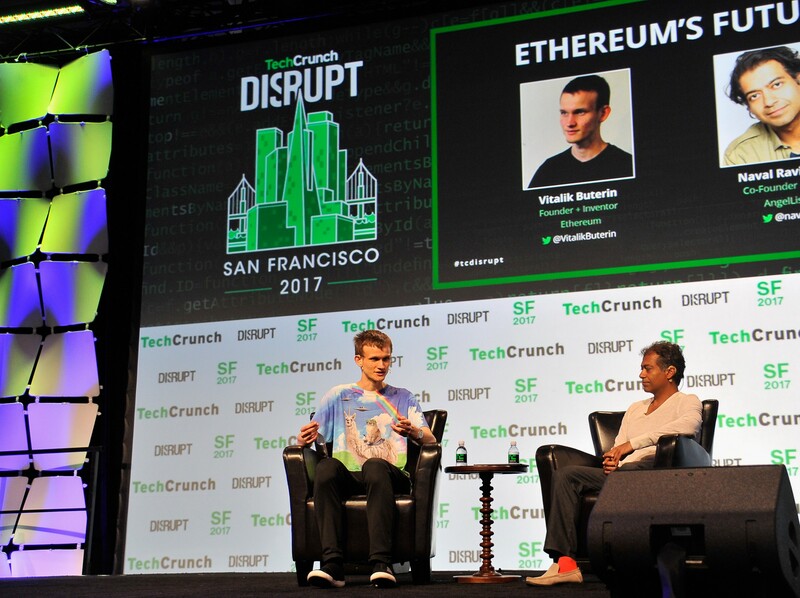 Ethereum co-creator Vitalik Buterin at TechCrunch Disrupt. Photo by Steve Jennings/Getty Images for TechCrunch. I recently sold 70% of my Ether (the built-in cryptocurrency of the Ethereum platform) after I came to doubt its promise as an investment— although my optimism about its potential as a technology remains as high as ever. This might sound paradoxical, but it isn’t. The key realization I had is that there is a good chance Ether won’t behave like shares in a company, but will instead behave like the currency of a country. If you want to invest in the U.S. economy, you should buy stocks in U.S. companies, not hold U.S. dollars. Holding a fiat currency is a bad investment because it’s inflationary. It decreases in value over time. I’ve begun to suspect the same might be true of some cryptocurrencies, like Ether. If you want to invest in the Ethereum economy, holding Ether might not be a viable way to do that. Unlike Bitcoin for instance, the supply of U.S. dollars increases indefinitely year after year, with no hard limit. With a fixed supply of Ether, some investors assume Ether will be deflationary. It will retain value, and even appreciate in value. Fixed supply is by no means a foregone conclusion for Ether; it’s a topic of active debate. But even with fixed supply, Ether might still depreciate in value. Even with a static money supply, an increase in velocity will cause a decrease in the value of a unit of currency. Velocity is the average number of times that 1 Ether or 1 U.S. dollar changes hands in a given year. Velocity is the “V” in the equation of exchange: MV = PQ. The equation of exchange is the method that Chris Burniske and Jack Tatar use to value cryptocurrencies in their book Cryptoassets. Since I haven’t heard of a rigorous alternative (and I’ve looked), this is the valuation method I’m using. Suppose the Ethereum platform facilitates $12 trillion in transactions per year — equivalent to the GDP of China. Suppose also that the velocity of Ether is 40x the velocity of the U.S. dollar, which is currently around 5. $12 trillion divided by a velocity of 200 is $60 billion, so that would put the network value of Ether below its current (at the time of writing) network value of around $70 billion. Here’s another scenario. Suppose Ethereum does $1 trillion in transactions per year, and the velocity is 15 — only 3x the velocity of the U.S. dollar. That would put the network value at $67 billion. Again, below the current network value. I do not believe this guaranteed to happen. I just believe that it is enough of a possibility that I no longer consider Ether to be a wise investment. The opposite is also possible: Ether might have a lower velocity than the U.S. dollar, perhaps because of widespread use as a store of value (like gold). At half the U.S. dollar’s velocity, $12 trillion in annual transactions would yield a market value of $4.8 trillion. $1 trillion in transactions would yield $400 billion. Here’s why I think Ether’s velocity might end up being much higher than the U.S. dollar’s velocity. Imagine a world in which the Ethereum Foundation’s development roadmap has been successfully executed, and transactions are so fast and scalable it’s now possible to play StarCraft on the Ethereum blockchain. Imagine the Ethereum dapp ecosystem begins to explode like the iOS app ecosystem did after the launch of the App Store. What level of velocity might we see then? If a large portion of the Internet begins to run on Ethereum blockchain transactions, then I have to think that the typical Internet user will be involved in many more Ether transactions per day than fiat currency transactions. It isn’t rare that I go an entire day without executing a single fiat currency transaction. By contrast, I use multiple apps every day. If some of those apps become Ethereum dapps, and every time I use an Ethereum dapp I execute multiple Ether transactions, then I have to imagine the velocity of Ether will be staggering. Every day, I’ll be executing hundreds, maybe thousands, of Ether transactions, compared to a handful of fiat transactions on a busy day. This is why it doesn’t strike me as crazy that the velocity of Ether could be 40x that of the U.S. dollar. I can see the daily number of Ether transactions for a typical Internet user being 40x higher than the number of fiat currency transactions they execute in a day. One last scenario. Let’s suppose the Ethereum economy grows to the size of the entire world economy: $80 trillion. What velocity would Ether need in order to have a network value of only $50 billion (~70% of its value today)? It would need a velocity of 1600, which is 320x the U.S. dollar’s current velocity. I’d say that $80 trillion in annual transactions is probably close to the very best case scenario for Ethereum. So if you want to invest in Ethereum, you better be confident that velocity will be less than 1600. If a single game of blockchain StarCraft involves a few hundred or thousand transactions, then the investment case for Ether would seem to entirely fall apart. Doubly so for social media dapps. That future where we’re playing video games and using social networks on the blockchain is one I want to live in. It sounds exciting, cool, liberating, and attainable. I haven’t changed my mind about the potential of blockchain technology. Just the potential of Ether as an investment vehicle. Remember, we were never promised that Ether would be a good investment. The purpose of Ethereum is not to enrich investors. It’s to build a new era of the Internet, to make money digital, and enable decentralized institutions. If you want to get rich off cryptocurrency, sorry, that might not happen. But if you want to live in a future where blockchains improve human life, I think your chances are a lot better. Edit (December 8, 2018): Jose Maria Macedo has a response to this argument about velocity that I recommend reading. Disclaimer: This is not investment advice. A protopia is a world (neither a utopia or a dystopia) that is getting better step by step. This blog is about the technologies that can allow us to live in protopia.